Keep your feet warm and comfy in the boardroom or on the court. 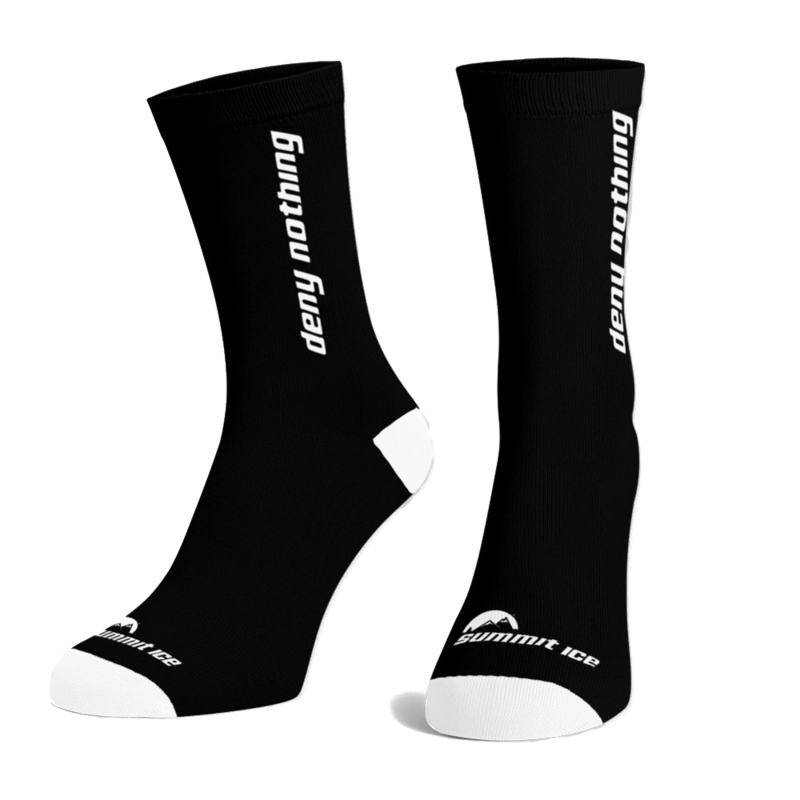 Summit Ice calf-length socks come in two colors and are the perfect compliment to your Summit Ice jacket, t-shirt, and toque. 100% cotton. This high-quality 100% cotton tee provides maximum comfort while making a statement about the Holocaust. 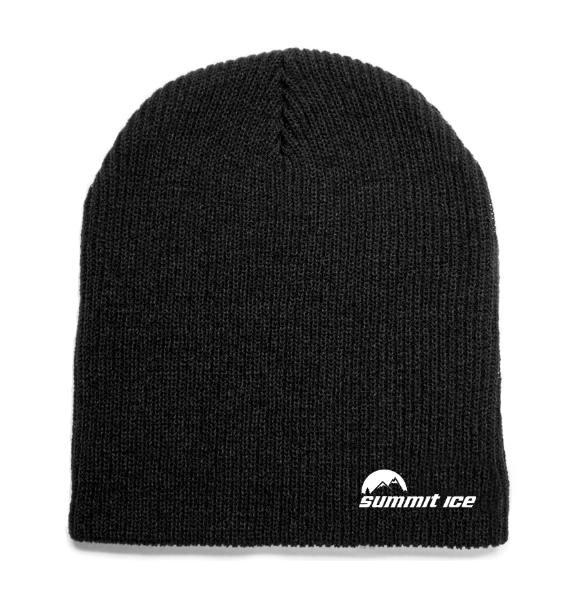 Look stylish on the street and stay warm on the slopes with this classic winter tuque. Wear it alone, or under the hood of a Summit Ice softshell. 100% polyester. 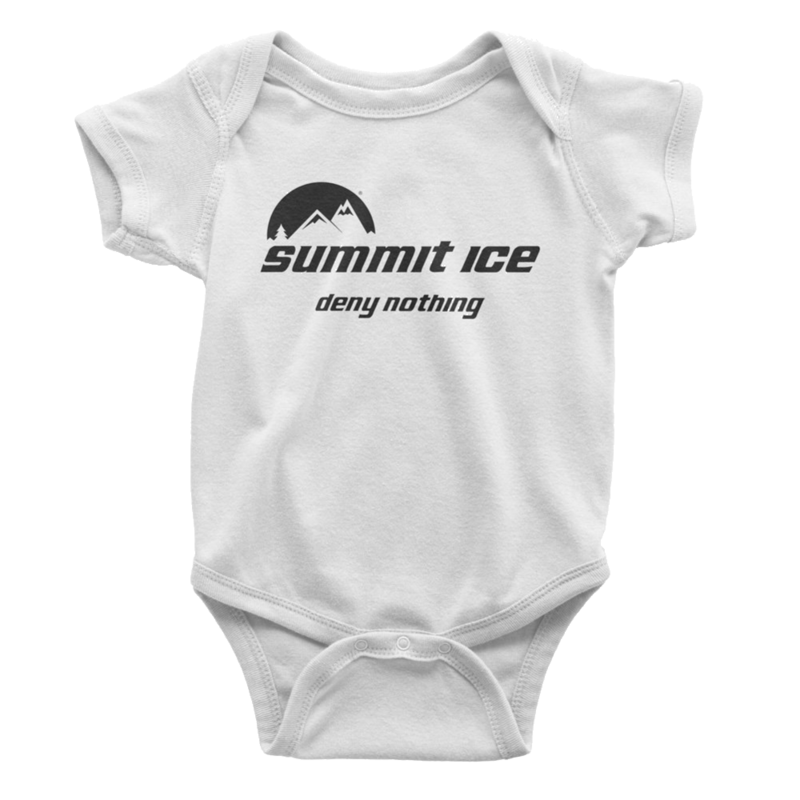 Summit Ice believes that brand loyalty and holocaust education should begin as early as possible. That’s why we’ve designed a baby onesie that is both cute and stylish. These little suckers are made of 100% cotton and feature snap closures for easy diaper changes.